Do you know a house in British Columbia that doesn’t own a freezer? 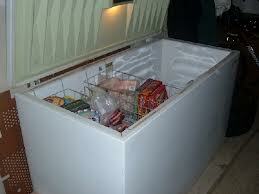 People keep meat, fish, veggies and ice-cream stored and their health depends on how well freezers frost. The right temperatures slow down bacteria multiplication and that’s how families can keep everything frozen for long periods of time. For professional freezer services, get in touch with our Appliance Repair in Maple Ridge, BC. When there is a problem with the freezer and one or more of its parts, the temperatures change and problems begin. We can help you avoid such problems by providing frequent inspections and regular maintenance service. Our team can also assist you when the freezer is leaking or doesn’t turn on. You can count on our emergency service every time you are in freezer related trouble. All freezer parts are significant. Each one of them plays its role so that the appliance will keep food frozen. That’s why we offer maintenance service meticulously. Our technicians check every part in order to ensure everything functions alright and there is no leakage. Since most home freezers are part of refrigerators, our professionals check all parts and even fix your icemakers. We are home fridge repair specialists and make sure the temperatures are ideal. When parts of either appliance are damaged, we replace them as fast as possible. Rest assured that our team can fix freezers by any brand and also repairs freestanding freezers. Expect fast assistance by our technicians. In most cases, we offer same day freezer repair in Maple Ridge, BC since most problems are extremely serious. On the other hand, you can trust our local professionals to routinely check your appliance and take care of it so that you won’t pay high energy bills and be certain that the freezer works great. We provide professional freezer repairs in the Maple Ridge area and help you as soon as we can. Give us a call if you need services today! You can also leave us a message.